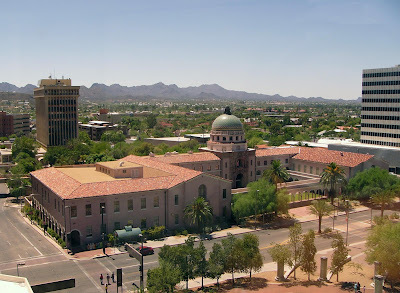 Tucson's iconic courthouse dome is one of the architectural beauties of downtown and is listed on the National Register of Historic Places. 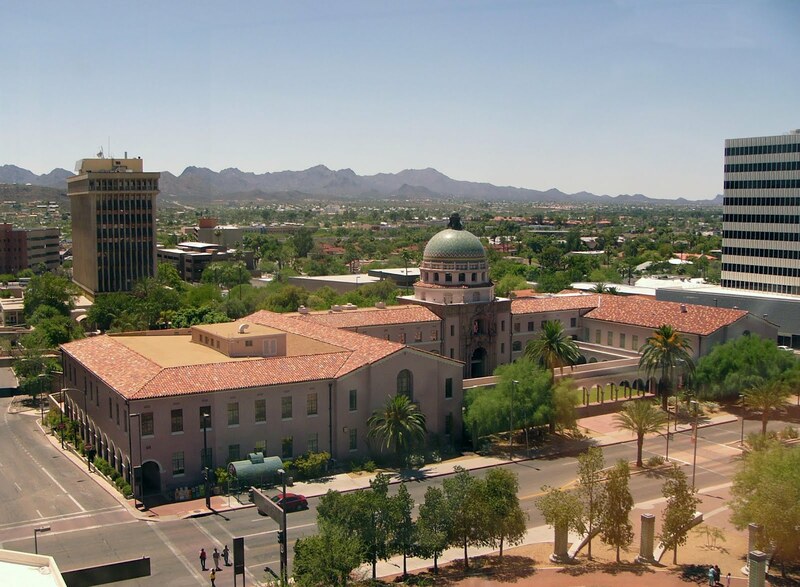 The Pima County Courthouse was designed by Roy Place and built in 1929. It still serves for lower level criminal cases. Downtown walking tours all include this beautiful building with its graceful arches and distinctive dome. Nice overview of the city. I used to love it in the 1950s. Say 1952. They had a small downtown, of one street with shops and some side streets with one or two shops. One bus station and one YMCA. That was it. The railroad tracks through town and the street named, "Speedway," that went under the railroad tracks where a restaurant was that we used to eat at. Hi Abe, Well then you'll be happy to hear that many of the neon signs of that era are being restored. City planners are finally "getting it" that displaying those kind of vintage elements has real value. I missed your photo yesterday since I was on my way home (sniff) from Tucson. I am back in the freezing cold now and longing for Tucson already. Some day I will live there and won't have to come back.